Top Notch Material: PeachSkinSheets: Simply Luxurious Giveaway! PeachSkinSheets are as amazing as they sound! They offer the finest 1500 thread count sheets, that seriously feel heavenly at very affordable price. I discovered this fabulous company for myself back in April, and was just lucky enough to receive a second set for my older son to review. This time we opted to receive the sage set, and this beautiful color perfectly compliments his dinosaur themed room perfectly. My son has been bragging about how incredibly soft his new 1500- thread count sheets are. 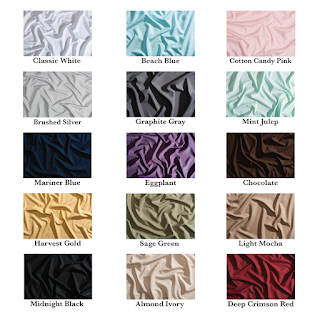 Prices for these sheets starts at $55 and they always offer two colors of the month that are available in any size for $55. Otherwise, the regular prices start at $69. 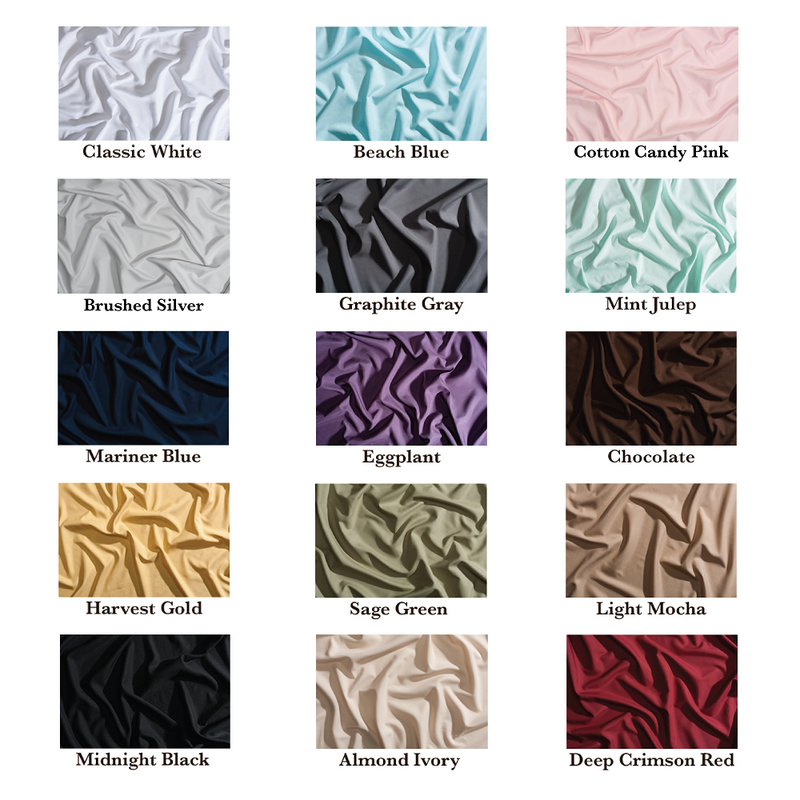 If you are unsure of a color, they offer a free swatch program where you can feel the quality and softness of the sheet, and check out the color. I am just in love with the set of sheets that I received. These sheets are perfect for all year round in Florida because they wick away moisture and feel so soft and cool when you are sleeping on them. This is my third set of sheets that I have received from PeachSkinSheets and I have washed each set many times. I am proud to say that they have held up beautifully with no pile or rips in them, and one set is well over a year old now. They are without doubt my favorite sheets I have ever owned. These would make a wonderful Christmas gift for those in your life who love sleep AND luxury! It is the best of both worlds. Win It: One lucky winner will receive their own set of PeachSkinSheets. These would be great to win. I live in South Alabama so we have really warm and muggy temps here too. Anything that would make sleeping more comfy sounds like a perfect solution. I never win anything but I still had to comment and enter. This granny would love to try these out. I would need king size however and chocolate would be great. Already ordered two swatches from there. Eggplant. So many nice colors, I ordered Almond Ivory and Eggplant. I ordered swatches there. They sent me three....Crimson, White and Mariner Blue....all gorgeous. I ordered the swatches. Can't wait to get them! I ordered swatches a while ago; I don't want to keep ordering them. Got all the colors of the sheets that I would consider for my bed. I ordered swatches yesterday from them and today! I hope that is okay. These sheets are amazing!